E arlier this year I went to a Cracker Barrel for the first time, (while on vacation in Florida). That’s my kind of place. If you haven’t had the privilege, it’s an old-time general store mixed with a country restaurant that serves insanely good food. Why did I like it so much? See, growing up in Northern California, we’d frequently go up into the Sierra Nevada Mountains and visit old country stores on our way to a camp ground or a fishing spot. There’s a feeling you get going into an old-time general store. Do you know it? The vintage furnishings, the smell, the plank wood floors, and the interesting people. It’s a mix of wild west, and nostalgia that makes you feel oddly brave, adventurous, and sort of Davey Crocket-ish. 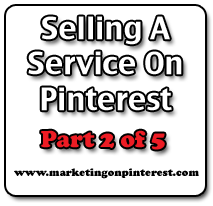 What Does This Have To Do With Selling A Service On Pinterest? So how do you evoke good feelings in your prospective customers on Pinterest? Let’s dig into this a bit. By far the easiest way to evoke a positive emotion on Pinterest is to make someone laugh. Dangerous for a service business, sure. But if you’re a small-er-ish service provider, you have an opportunity here. A big company would never risk being funny or slightly sarcastic on a social media site. They don’t trust the judgement of their staff enough to allow it. But if you’re a solo-preneur, and you have the wit & wisdom of a Charlie Munger, then you can get away with letting your humor help you. Make people laugh – they’ll bond with you. Pin funny stuff that reflects your style of humor and positions you as smart and suffisticated. The second best way to evoke an emotional response in Pinterest is to tug at a deeply held emotion – like patriotism, or faith. I’m not saying be fake. But if you’re a patriot, then make a big deal out of it. If you’re a Christian, then let people know it – and you’ll quickly attract people of like-minded beliefs. Again, the big firms cannot do this, but if you’re a smaller-ish service provider, then you should tag into the power of the deeply held emotions and core values. Pin patriotic or faith related content -if it fits who you are. The third most powerful way to evoke feelings in your prospects on Pinterest is to remind them of a sentimental time, a favorite memory or tradition. I’ll be honest, the Cracker Barrel experience I had in their store doesn’t hit me when I visit their Pinterest profile. As I look at their pins, I don’t see anything that reminds me of the visit to their store. Simply seeing a picture of their main lobby area would have been adequate, but I didn’t see it. Instead I saw product shots. It’s a tricky balance. But if you’re a service provider, and you align yourself with a tradition, nastalgic feeling, or sentimental concept, make sure you find a way to convey it in your pinboards. Coke does an excellence job of this in their branding. They are new, but they remind us of the past frequently. We grew up with them, and they remind us of it. Can you pin sentimental content? The forth most powerful way to evoke feelings in your prospects on Pinterest is to bond with them over an event, meme, feeling, or a concept. 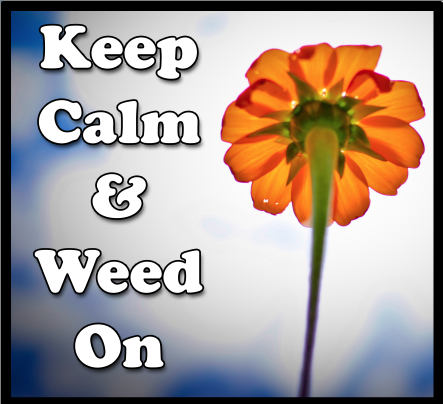 If you’re a landscaper for example – Do you have a ‘Stay Calm & weed On’ image on your pinboards? (Hey, I just made that up, that’s a pretty good one). Made it for ya. 5. The final way to evoke emotions in your prospects is to give them something of value. The emotion you’ll touch? Reciprocity – a powerful driver of sales. Can you give your prospect something of value via Pinterest? Work hard at it. Maybe it’s information, advice, encouragement, friendship, a new perspective or a new fun item to pass long to their friends. Give and ye shall receive. And as Craig Garber would say – Now go sell something on Pinterest!